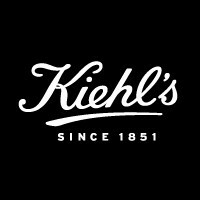 •Formulated with drought-resistant Fountain Plant, this new addition to Kiehl’s iconic Ultra Facial range replenishes skin’s water reserves for long-lasting hydration and healthy looking skin. •While you sleep, the intensive moisturizing treatment helps boost skin’s ability to retain water, resulting in long-lasting hydration and healthier, youthful looking skin. 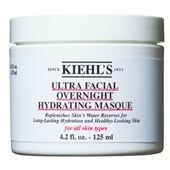 Step 1: At night before bed, apply a healthy layer of Kiehl’s Ultra Facial Overnight Hydrating Masque onto clean skin. Step 2: Leave on for 10 minutes. Step 3: Use a tissue or towel to remove excess but leave some to continuously replenish skin’s moisture throughout the night. Step 4: Allow masque to work while you sleep. Step 5: Follow your normal skincare regimen in the morning. This is an interesting product as you it's an overnight facial mask but the actually results are very limited. It's perfectly nice and feels okay on the skin which is good considering that it's a mask you leave on over night but the actually impact isn't really apparent after use.